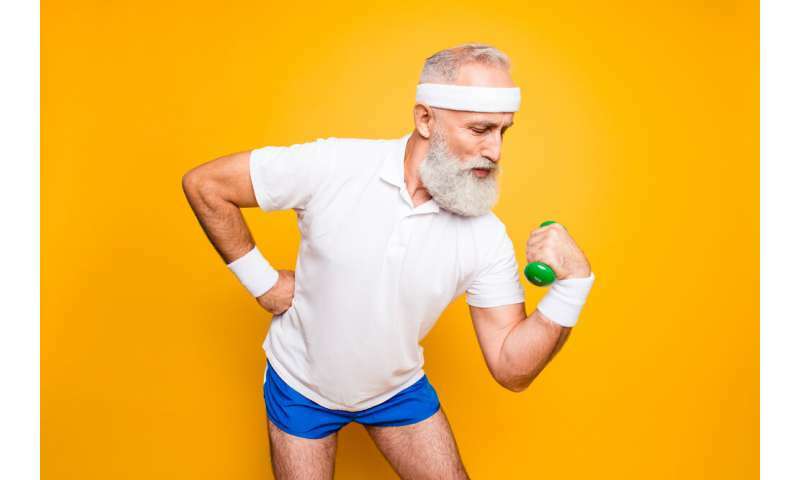 Our muscles grow as a result of regular exercise and can waste away when not frequently or strenuously used, leading to the popular maxim: "Use it or lose it." But a new review of what we know about muscles during periods of regular exercise or disuse casts doubt over long-held beliefs about how our muscles grow and adapt. Historically, scientists thought that each nucleus regulates a limited cell volume and that the ratio between the nucleus and cell volume was constant, termed a "nuclear domain". In skeletal muscle, this means that during periods of growth, such as regular weight training, nuclei must be added to the fibre from the stem cell pool located outside the fibre. More recently, research in rats found that nuclei gained by muscle after training were maintained during long periods of not training. These nuclei then helped the muscle to regrow more effectively when training was resumed. It seems that muscle has a "memory" that helps explain why people who get back into the gym after some time away from training find it easier to gain muscle compared with newbies. Although the saying "use it or lose it" is true for muscle size, per se, "use it or lose it until you use it again" is a more accurate – if less catchy – way to put it.